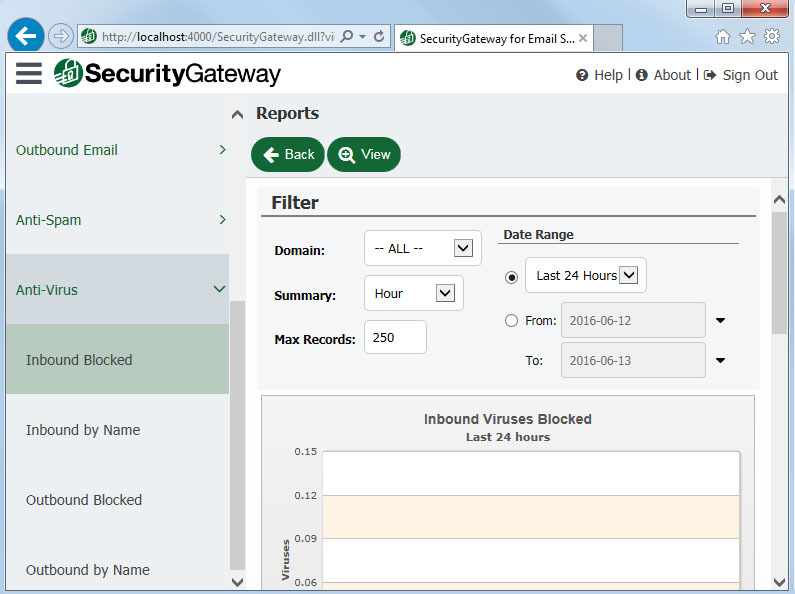 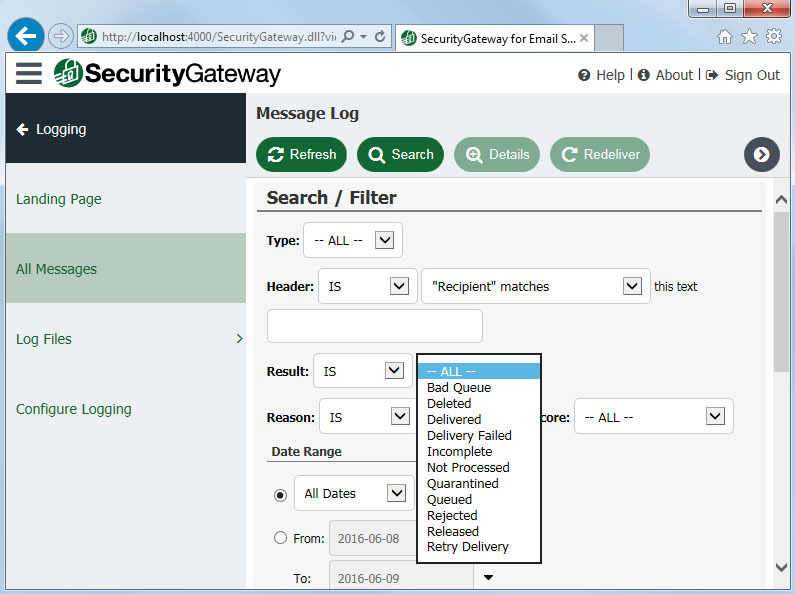 SecurityGateway for Email Servers provides detailed logs for administrators and users, showing the status of each email (delivered, quarantined, rejected) - and why it was rejected or quarantined. Its comprehensive reporting helps administrators identify mail traffic patterns and potential problems. 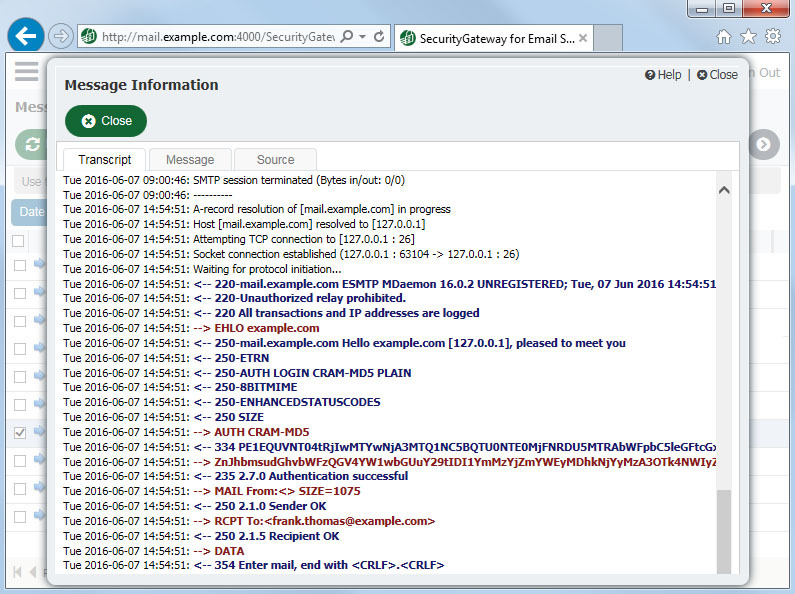 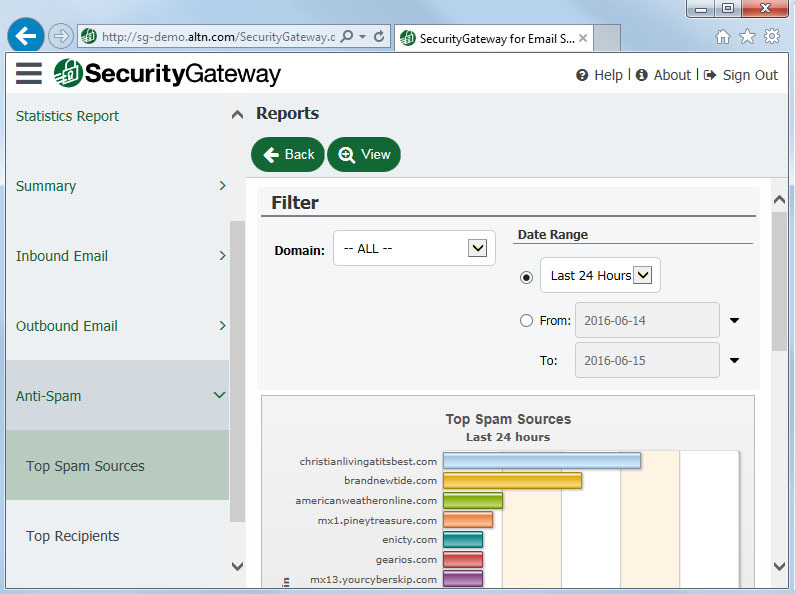 These logs and reports provide an at-a-glance overview of email traffic, as well as antivirus and anti-spam activity. 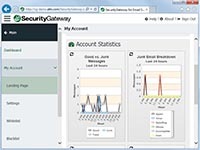 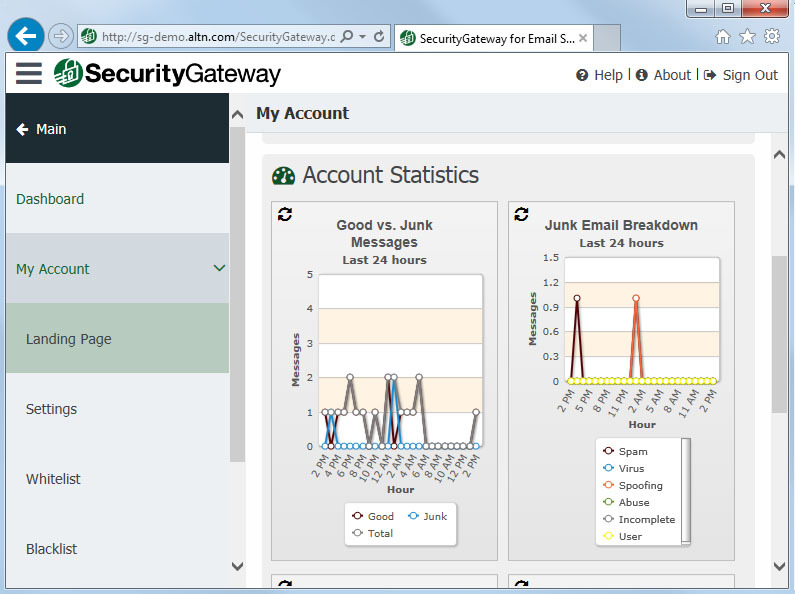 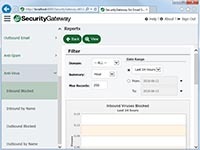 SecurityGateway includes detailed messaging and historical logs to help administrators monitor server traffic and troubleshoot messaging issues with minimal effort. 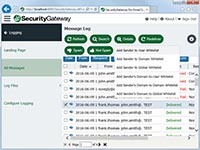 Color-coded displays highlight a variety of common, uniquely identifiable information about each message for easy analysis and action. 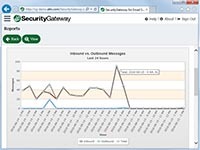 Messages in the quarantine can be fed to SecurityGateway's Bayesian learning system to improve the spam fitler's accuracy in detecting spam and non-spam messages. 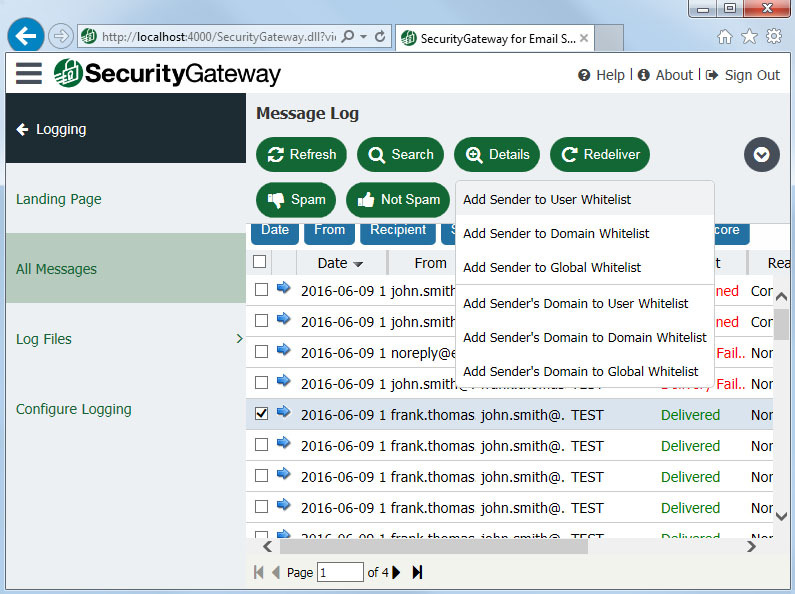 You can also add senders to your Whitelist or Blacklist and the sender's domain can be added as a wildcard entry. 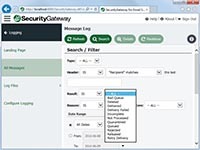 The Message Log Search feature may be used to search all logs based on specific criteria. 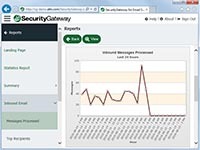 You can filter based on the contents of a message header, message date, the security feature that was triggered, message delivery result, and message score. 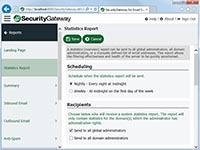 Historical logs provide searchable information with color-coded events to assist administrators in identifying problems and troubleshooting mail delivery issues. 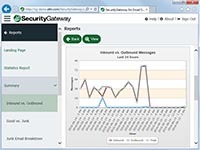 SecurityGateway's real-time charting reports are designed to provide easy-to-use, at-a-glance identification of trends and potential issues. 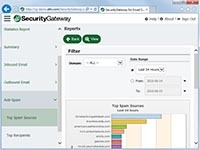 The color-coded, drill-down functionality allows administrators to easily analyze potential problems. 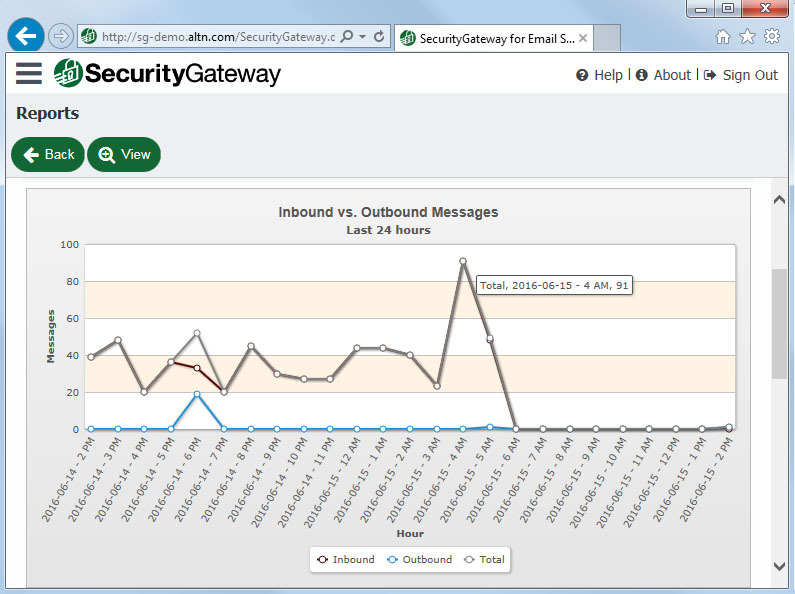 These detailed real-time charts also help identify troublesome delivery areas to improve server performance. 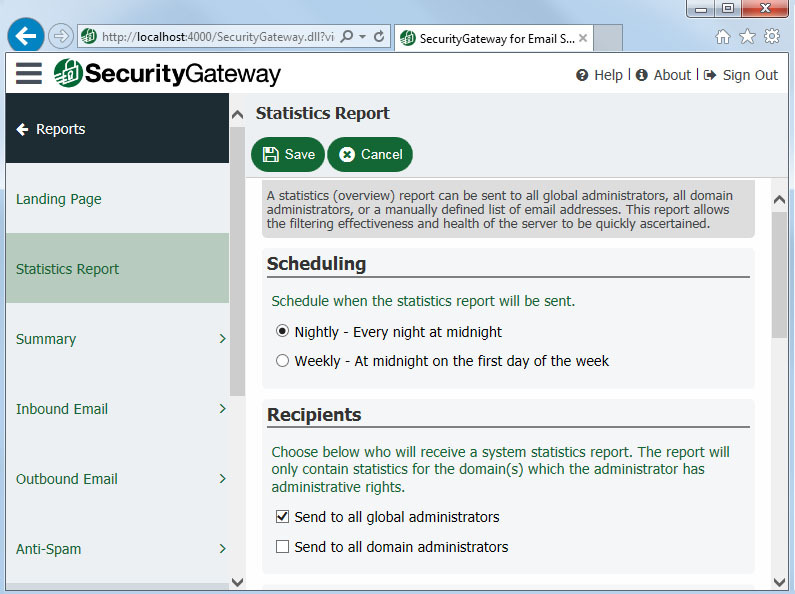 Statistics reports covering the filtering effectiveness and health of the server can be scheduled on a nightly or weekly basis.